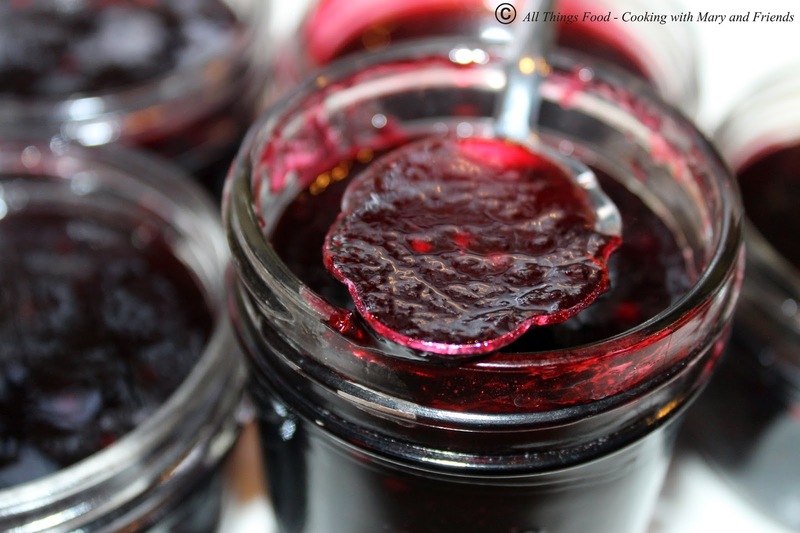 This Spicy Blackberry Merlot Jam will wow you! 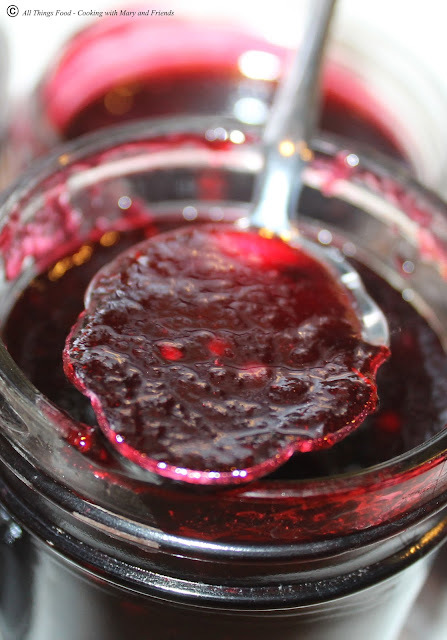 Blackberries, Merlot wine and a touch of red pepper flakes puts this jam over the top, bursting with flavors. I used fresh blackberries I purchased in the summer and flash froze for the freezer, but you could easily use frozen blackberries. It's sweet yet tangy with a bit of a bite from the red pepper flakes, but not too overpowering. Delicious served on top of cream cheese over crackers, as an accompaniment on a cheeseboard, or served with grilled or roasted meats such as pork, chicken or lamb. You could even heat some up and baste it on while cooking ... amazing!! Combine blackberries and wine in a large saucepan. 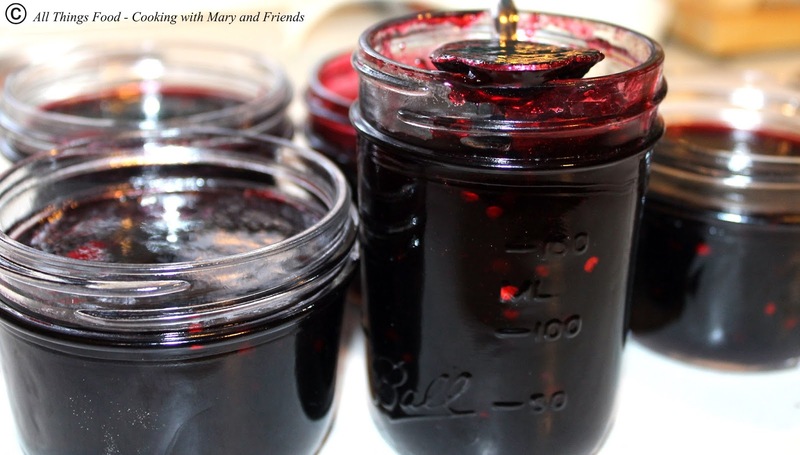 Bring to a boil over medium-high heat and cook 3-5 minutes to soften berries. Remove from heat, mash slightly and strain in a mesh strainer placed over a bowl. Use the back of a spoon to press as much of the liquid as you can into the bowl below; discard seeds and pulp. Return liquid collected to a large sauce pan, add Sure-Jell, red pepper flakes, and 1 tsp butter to help reduce foaming. Bring to a boil over high heat stirring often. Stir in sugar all at once and return to a rolling boil. Boil hard one minute, remove from heat and ladle into prepared 8 oz mason jars, leaving 1/4-inch head-space. Cover jars with lids and rings and process 10 minutes in a boiling water bath.